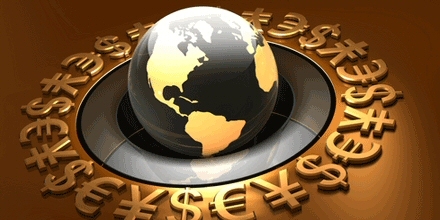 We can start to see how the one-world currency comes into play with BIG BANG. The more these governments try to manipulate the outcome of the free markets, the worse everything becomes. I met with members of the board in charge of the Swiss/Euro Peg just before the Berlin Conference. I explained that no peg has ever lasted and Bretton Woods stands as witness to that in recent memory no less the Pound/DMark Peg that made George Soros famous. Pegs only suppress the free market, they cannot prevent the eventual outcome. 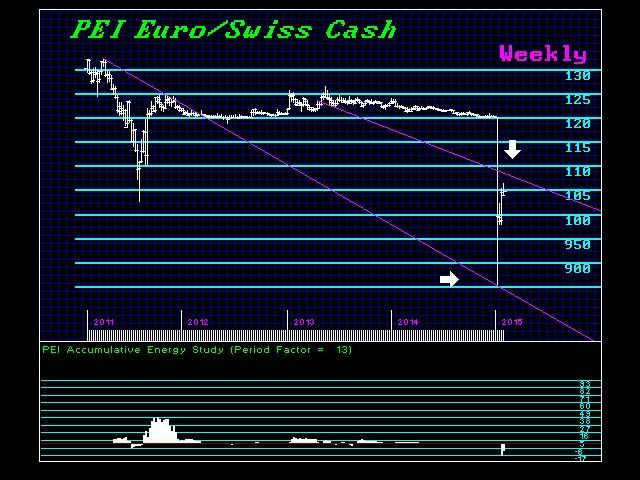 Instead of an orderly market, the Swiss got overloaded with buying Euros. Had they continued to keep buying, they would have simply bankrupted the entire country if they did not abandon the peg. But what happens is rather simple to comprehend. The volatility increases and its released all in one shot. We can see here that the collapse was still orderly. The market fell to test the Downtrend Line from 2011. It would have reached that target in a normal fashion. The peg simply postponed the inevitable increasing the price shock the longer it was extended. The more you postponed, the steeper the shock for the market will still test that Downtrend line no matter what or when. The G20 Finance ministers are now pleading with the Fed not to raise rates since they have seen the impact of a rising Swiss franc on everyone who had Swiss loans outside the country demonstrates the crisis we have in currency developing. They have yet to understand why Greece and Southern Europe got screwed. Their debts were transferred to Euros which then DOUBLED. They had to pay back twice as much and that stripped mined their economies. The G20 wants the Fed to surrender its domestic policy objective to serve external policy objectives. The Fed cannot and will not take that action. For when the stock market rises on an influx of foreign capital, they will see no other choice but raise rates. Everyone domestically will blame the Fed for low rates creating the bubble. They will set off a major debt crisis outside the USA by raising rates, but if they don’t they will be blamed for the Phase Transition into stocks from outside the country precisely as the bubble was created in Japan with the rising yen going into 1989.95. This is all part of the crisis we have in the total lack of understanding the global economy. This is what I am warning about that politicians cannot stand up and even promise change when the influences are external. ONLY those of us who have actually dealt internationally can see what is unfolding. 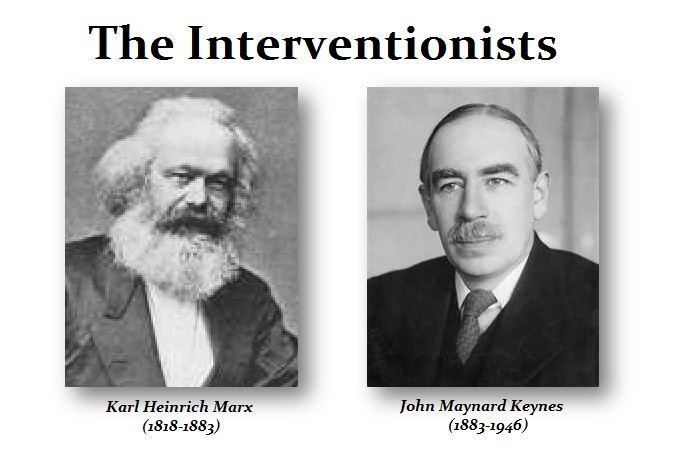 The rest are confined by their traditional interventionist views that a local government can manipulate its economy irrespective of the world as Marx and the Keynes argued. Sorry – we are all connected. We will be moving toward a one-world currency as everyone starts to comprehend that allowing one nation’s currency to serve as the world reserve currency, imposes obligations upon that nation that will be in conflict with its domestic policy objectives.